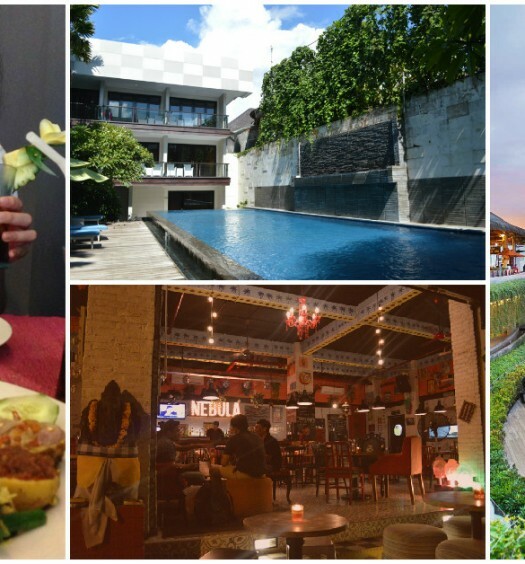 If you’ve ever heard Bali described as the land of 1000 temples, it’s an understatement. 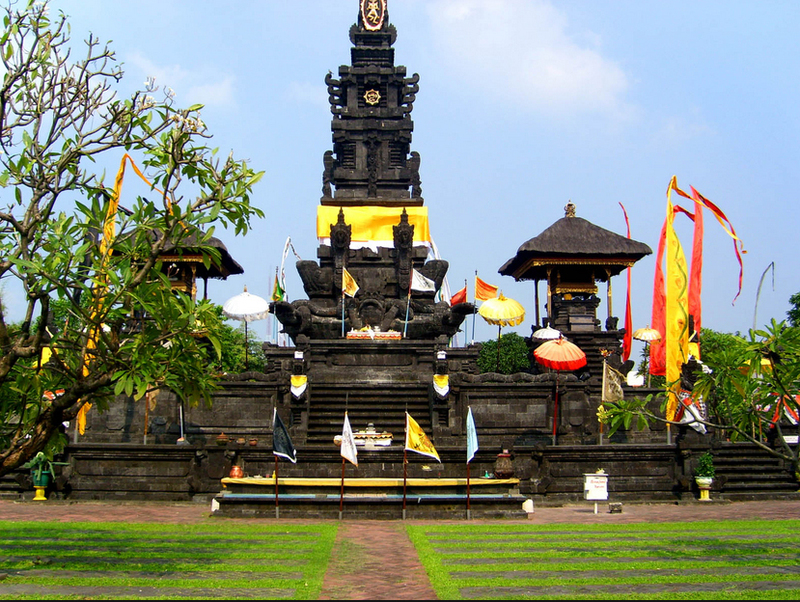 There are actually more than 6000 temples on the island, central to the cultures and traditions of the Balinese people. 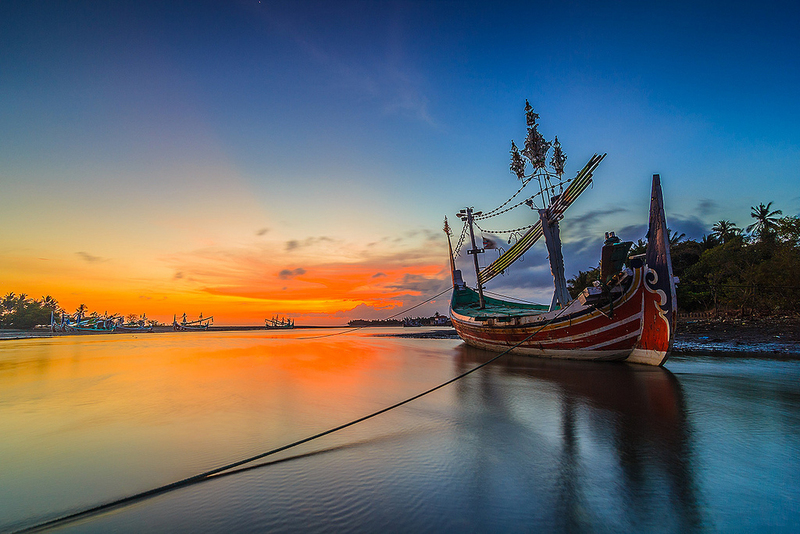 And apart from the usual temple up on the cliffs, or those you may chance upon along the streets, did you known that there are seven notable sea temples in Bali? 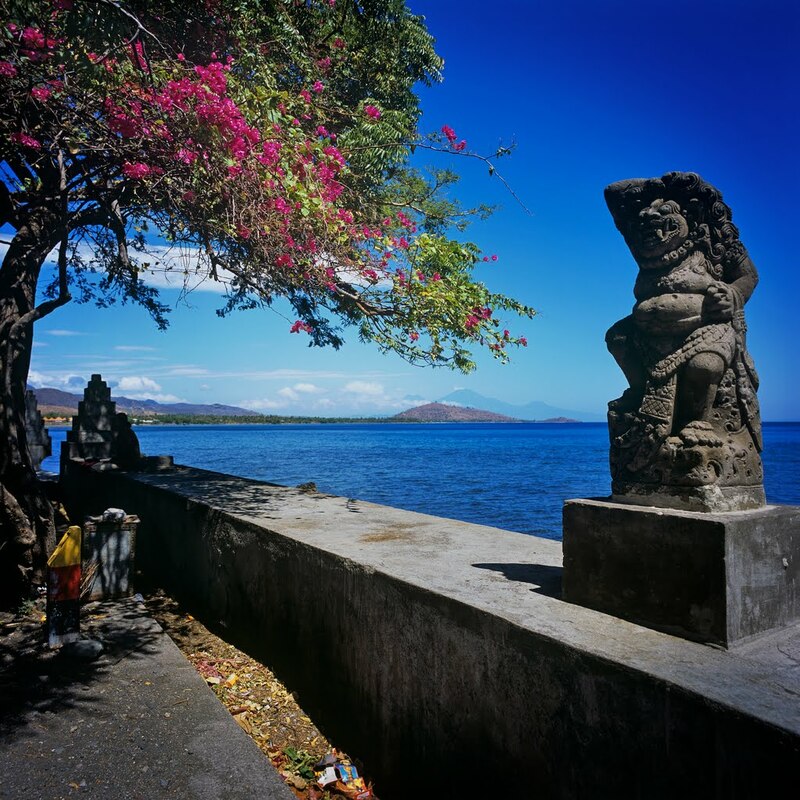 They are founded in the 16th Century by a Majapahit monk named Nirartha to honour the Hindu sea gods. 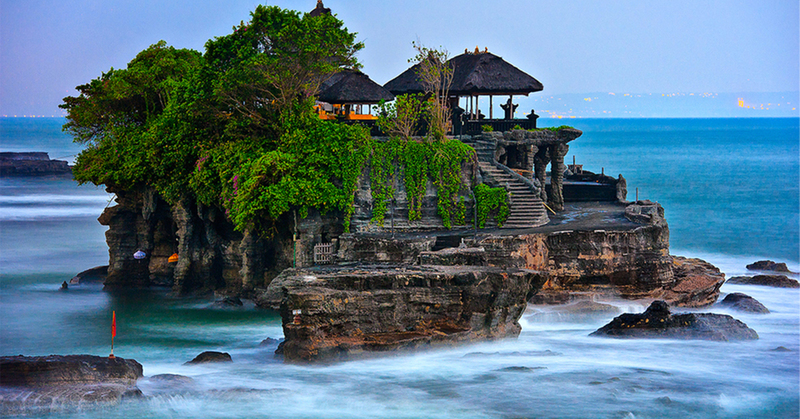 Legend has it that each sea temple is visible from the next, forming a chain stretching around Bali’s coast that must be seen to be believed. 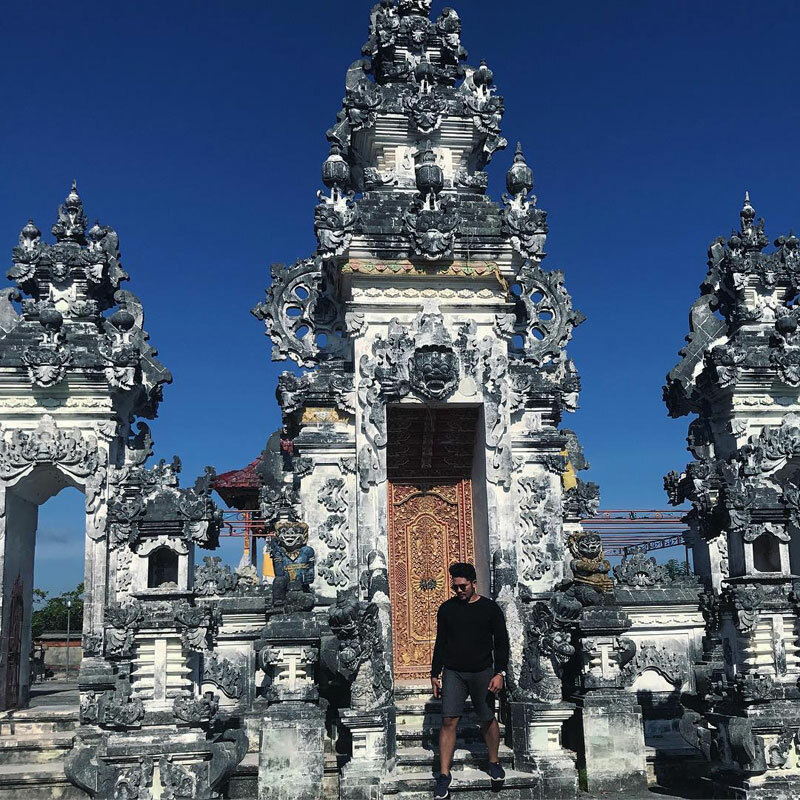 A stunning temple that greets visitors with white stone entranceways, the Gede Perancak Temple is known as the place where the monk Nirartha first set foot in Bali so many years ago. Overlooking the river Perancak, the temple is located close to a village of the same name, Gede Perancak, which was once an abandoned ruin. Now after rebuilding, it’s standing proudly in all its former glory, and more. 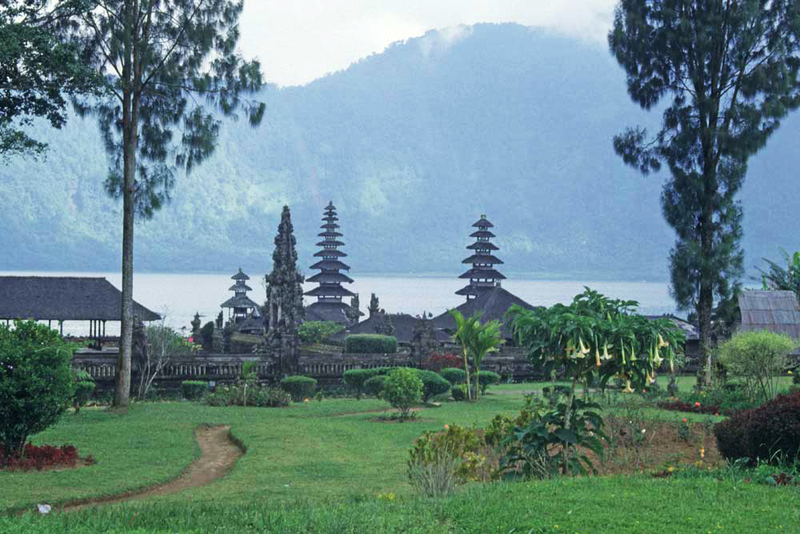 Getting There: The temple is located in Jembrana Regency, 10 km west of Tegalcangkring Village. There is no entrance fee for praying, but if you are not dressed in a sarong you can rent one for around Rp. 20,000 each. The Rambut Siwi Temple comes with an unusual history. When the monk Nirartha visited the spot in the 16th Century and proclaimed it holy, he left something behind – a lock of hair, which was donated to the villagers. The villagers then built a temple around it and named it Pura Rambut Siwi, which literally means ‘The Temple For Worshipping The Hair’. 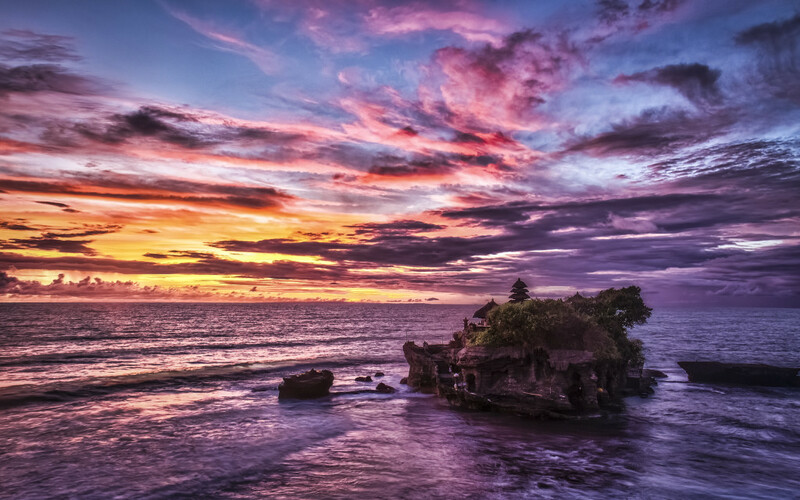 Despite its strange past, the Rambut Siwi Temple – one of the largest Hindu temples in Bali – remains a wondrous sight, settled on a cliff overlooking the Indian Ocean. 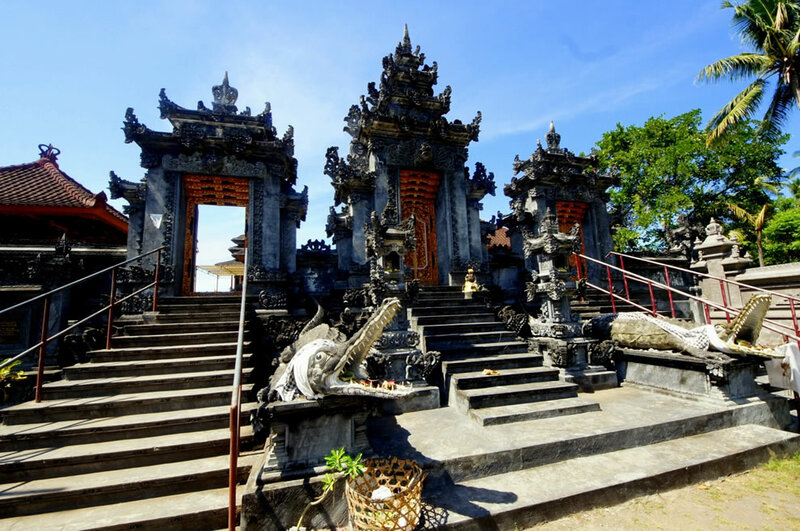 Getting There: The Temple is located about 8km from Perancak Temple, or around 87km from Denpasar. Its entrance costs incurred Rp. 20,000 with guides available for extra. We can bet that you’ve probably never seen a place like this. 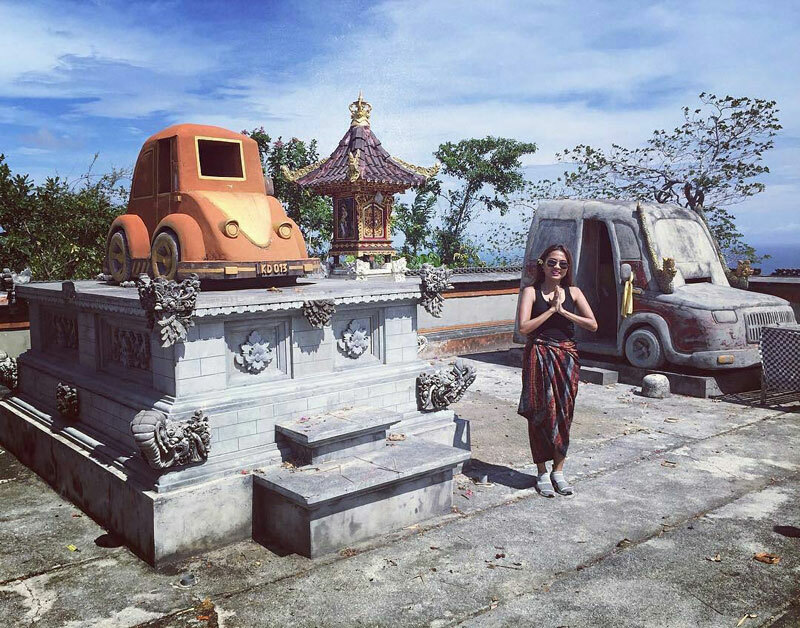 Pura Paluang is perhaps peculiar – a bit out of the ordinary as it is a temple of cars. Yes, you read that right, it is a temple that features two cement car replicas on a raised platform. And guess what, this isn’t the only instance when the Balinese sculpted forms of transportation. 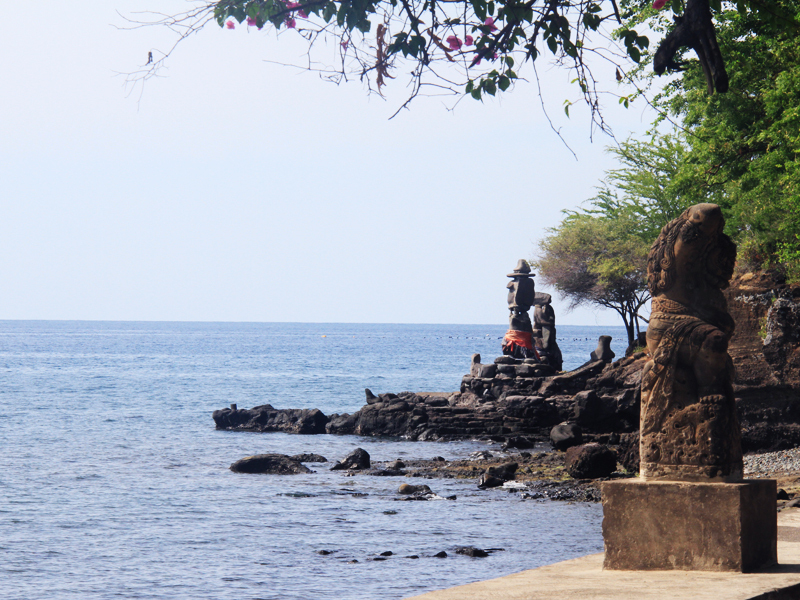 In fact, it is fairly common on Nusa Penida, and if you’ve been to Pura Jagaraga in North Bali, you may have even spotted a bicycle and car chiselled into stone. There isn’t a clear explanation of this place if you trace back through history, but some locals will insist that the temple and its car-statues predate the first automobile. 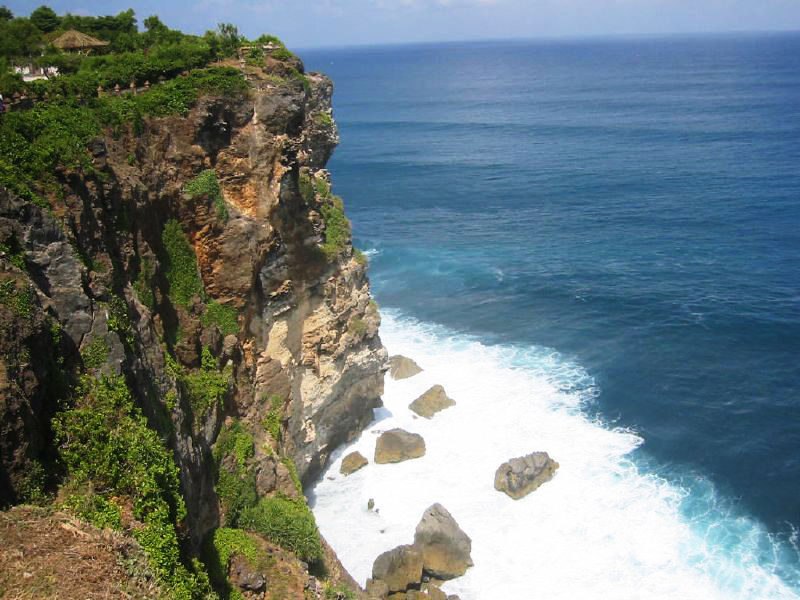 Whatever the reason for the temple’s construction, it is an arguably weird and wonderful place that sits atop the dramatic cliffs of Nusa Penida, roughly 200 metres above the sea. 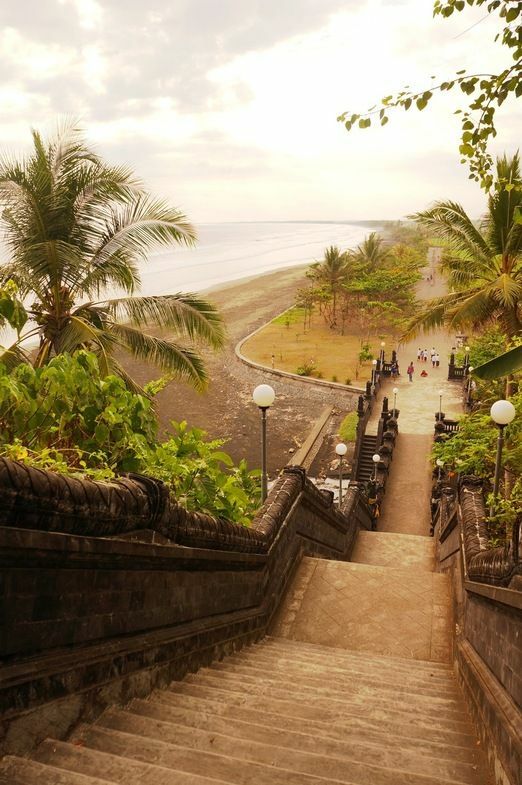 Address: Karang Dawa/Bunga Mekar, Nusa Penida, Klungkung Regency, Bali 80771. Coordinates here. 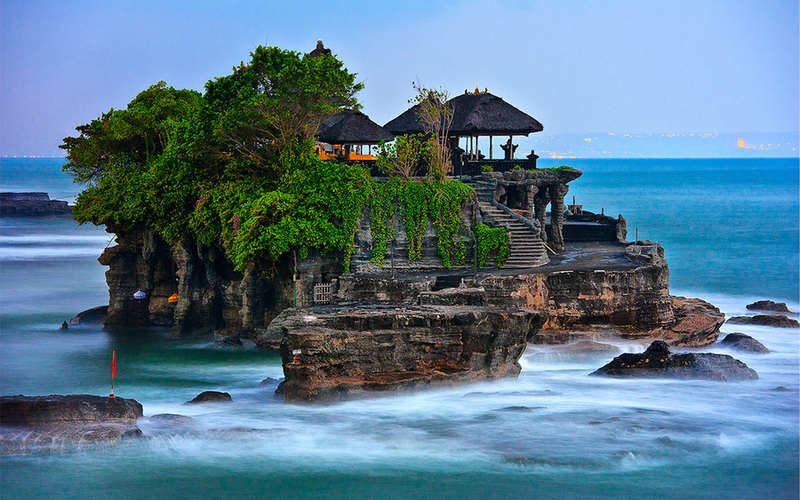 Tanah Lot (which in Balinese means Land in the Sea) is certainly one of the more well-known seaside temples in Bali. 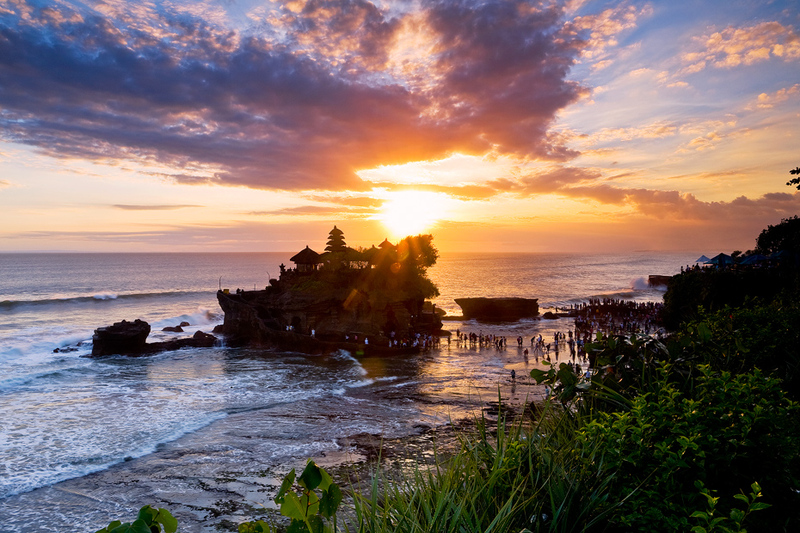 Featuring heavily on postcards as well as in Balinese mythology, Tanah Lot Temple is famous for its magnificent sunsets, photographic potential, as well as for that large population of poisonous sea snakes, believed to guard the area from evil spirits. 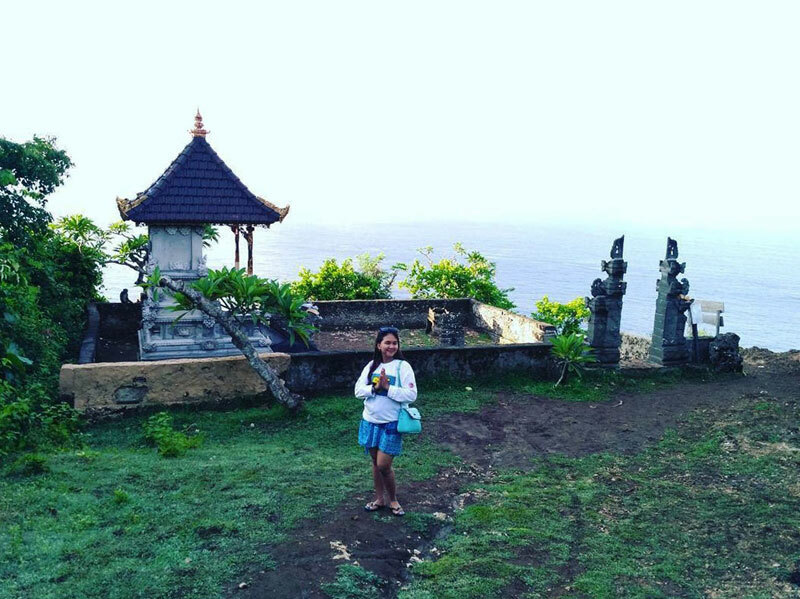 The Luhur Uluwatu Temple, often known simply as Uluwatu Temple, is another Balinese coastal temple famous among both visitors and locals. Perched on the edge of a high ocean cliff, this temple offers visitors an unforgettable stunning view of the horizon that you won’t want to miss. 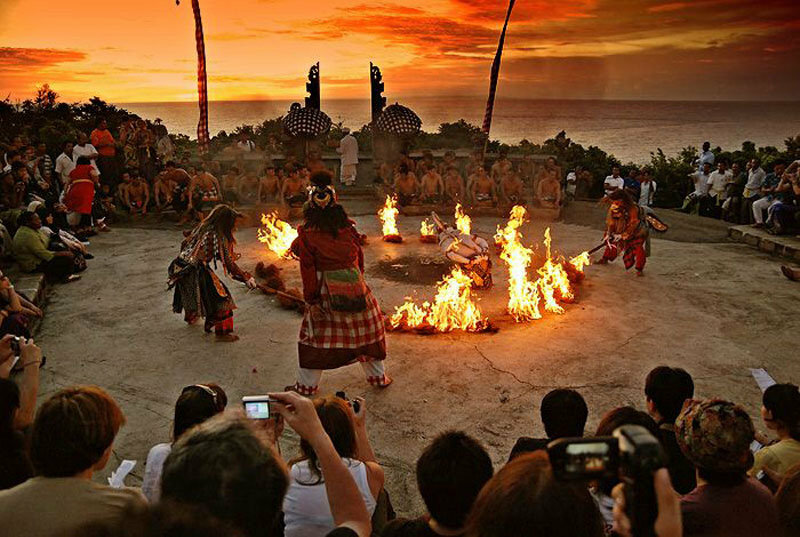 And do stay for the popular evening Kecak Fire Dance (a Balinese dance and music drama), set against a backdrop of Uluwatu’s breathtaking cliff edge views. 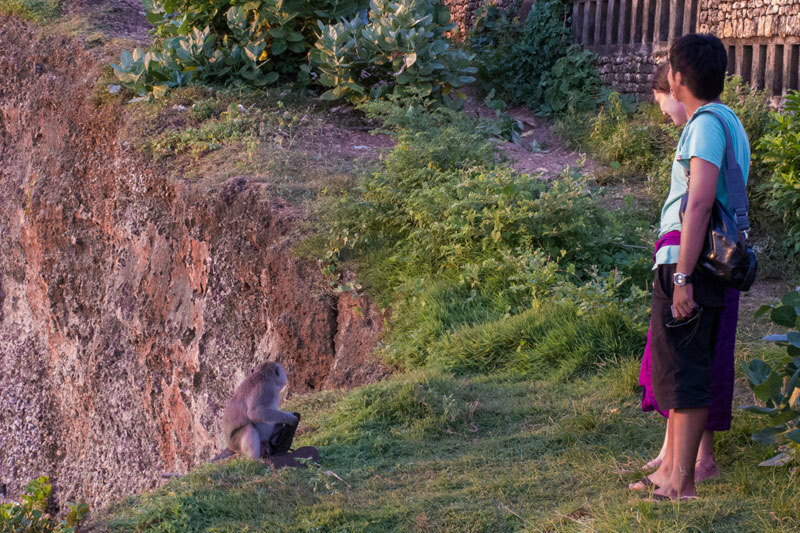 Not only is the temple known for its many photography points, gorgeous sunset vistas, but you may also have heard of the occasionally pushy group of monkeys that call the temple home. Remember to watch out for your belongings – these mischievous little creatures would love to pick your pockets! Getting There: Pura Uluwatu is located in Pecatu Village, Kuta sub-district, Bandung regency about 25km south of Kuta and it usually takes an hour’s journey. A hired driver or post-pickup is recommended as public transport is unavailable. Coordinates here. 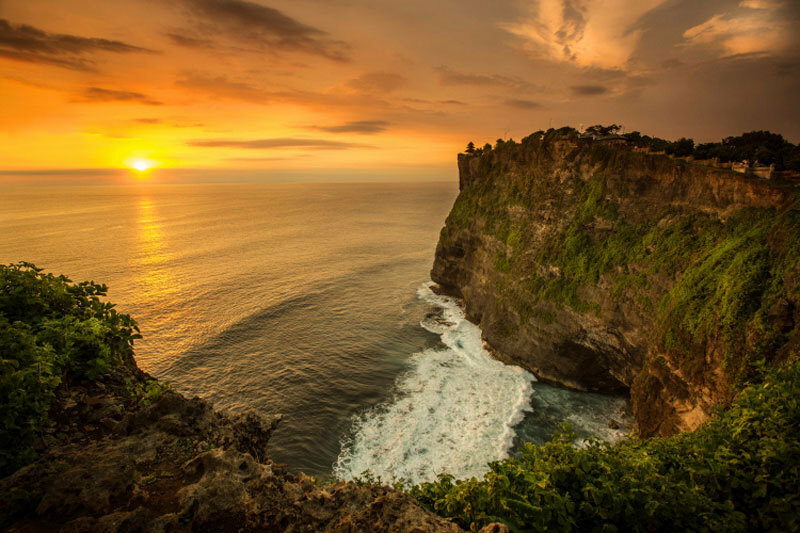 The perfect time to arrive at Uluwatu Temple would be at 4pm to give you ample time to get a good seat and a ticket for the Kecek Dance at Rp. 100,000 (USD $8.10). 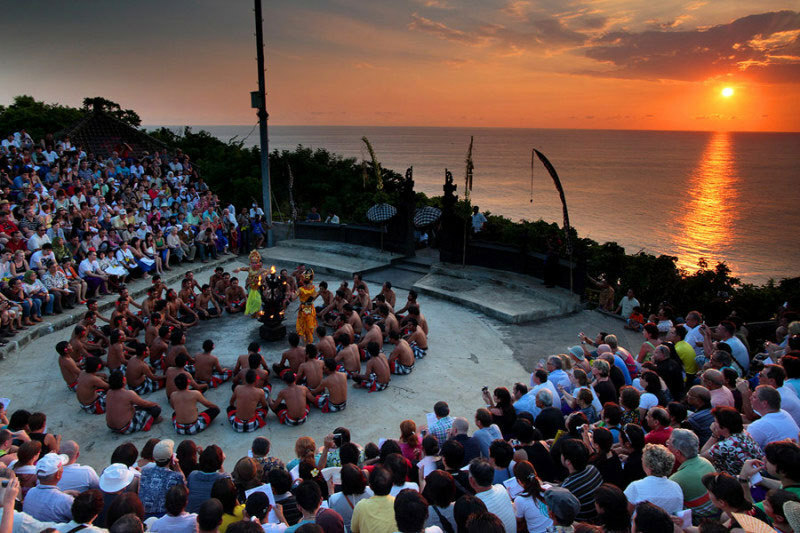 The performance is held at Uluwatu Temple, with an entrance fee of Rp. 30,000 (USD $2). Sarongs will be provided for entry to the temple. Probably one of the least known of Bali’s seaside temples, even the most dedicated visitor will find little information on Mas Suka Temple. But did you know, the temple is actually a spectacular sight? 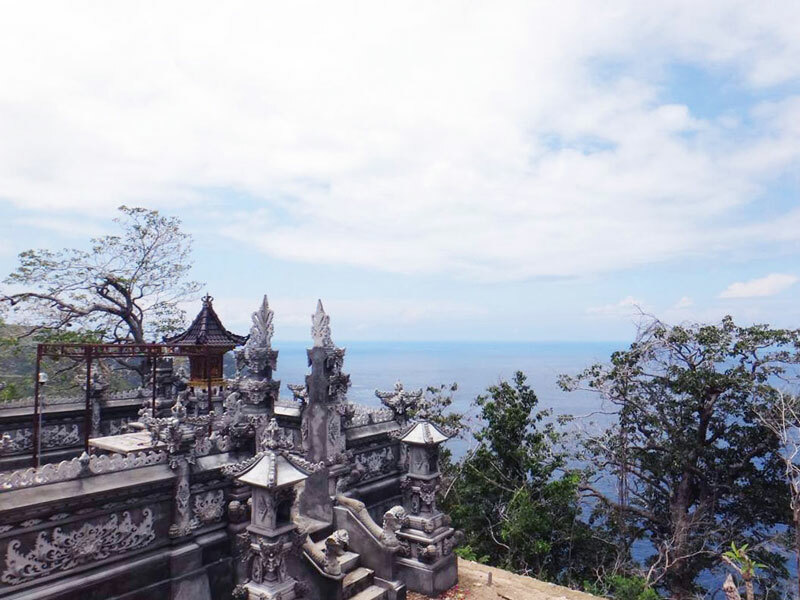 Isolated on the edge of a high cliff overlooking the beautiful Indian Ocean, Mas Suka Temple appears as though it suddenly stops at the edge of the abyss, with amazing ocean vistas on show for its few foreign visitors. Getting There: The temple is located at the southern tip of Bukit Peninsula, near Green Bowl Beach. Although signs are not clear, locals can help with directions. There is no specific parking area, and small fees may be charged for sarong and sash rental. Located on the small Serangan Island, Sakenan Temple is popular with locals, but rarely visited by outsiders despite its stunning surroundings. Nestled on the coastline, with the serene ocean at its back, the temple is also an epitome of gorgeous traditional architecture. The best time to visit Sakenan Temple? 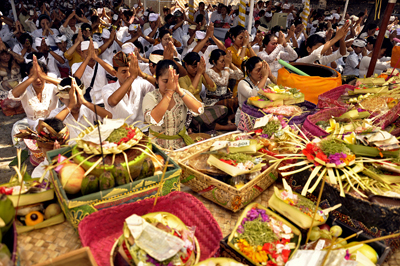 During the Balinese festival of Kuningan, which actually coincides with the anniversary of the temple! 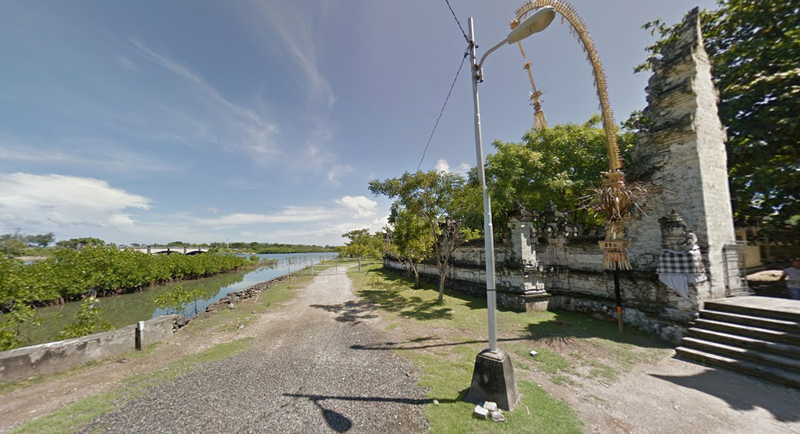 Getting There: The temple is located on Serangan Island, which is accessible from Sanur and Kuta via the Bypass road. There is no specific parking area, and small fees may be charged for sarong and sash rental. 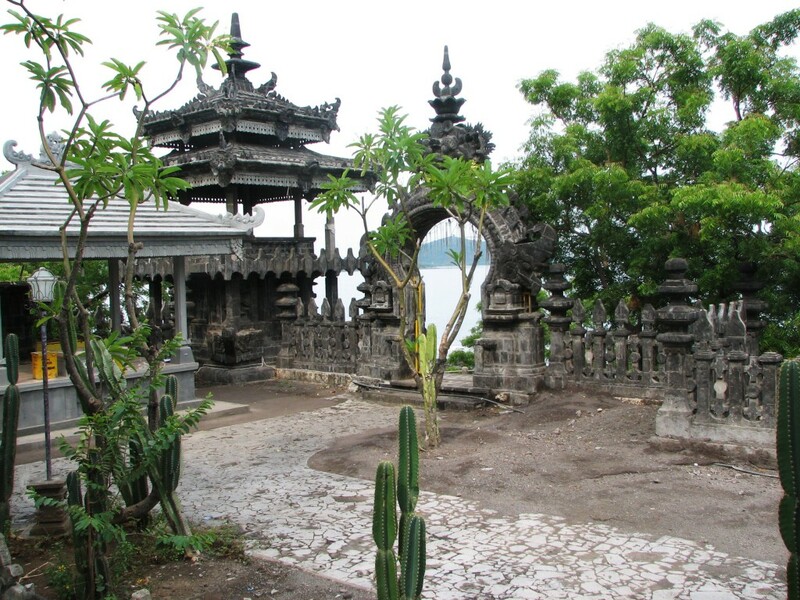 Pulaki Temple, located near Pemutaran, is a beautiful temple with a strange and amazing myth. When the monk Nirartha visited the temple in the 16th century, legend goes that he was guided by monkeys through the thick forest. So as he went on to establish the Pulaki Temple, it’s no surprise that he gave the monkeys guardian status. Visitors can still see the large group of monkeys today as they explore the magnificent temple, which sits just 25 metres away from the sea. But keep a watch out though. These agile and naughty monkeys love anything shiny and will try to steal them. Getting There: The temple is located in Banyu Poh village, in the Grokgak subdistrict which is in the western part of the Buleleng regency. A fee will be charged for sarong and sash rental, and there is usually a small entry fee, often classed as a donation. Are there any other beautiful sea temples you know of? Share it with us today! 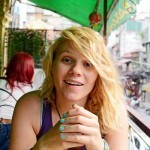 A budget traveller out in the world on an adventure with an awesome blog! Barefoot Beach Blonde puts your mind in the places your body wants to travel to! 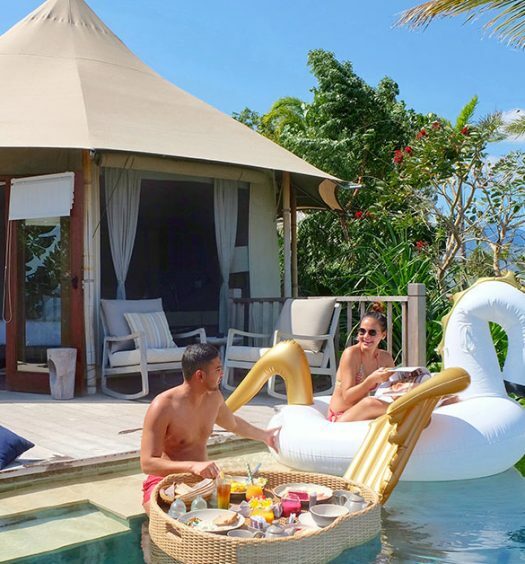 Our Menjangan Dynasty Resort Review: 11 Romantic beachfront experiences with glamping in secluded West Bali!